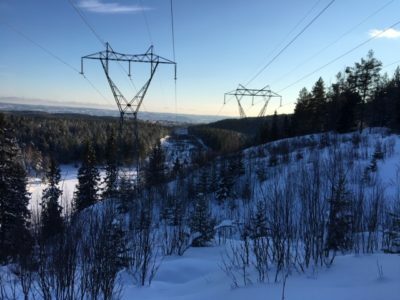 As Norwegians brace for more shockingly high electricity bills this month, they can’t expect much if any help from the government. Oil & Energy Minister Kjell-Børge Freiberg is rejecting calls to set a maximum level and thus cap rates before they go any higher. The calls are coming from thousands of Norwegians over social media, after a man in Bergen vented his frustration over receiving yet another electricity bill this winter that’s more than double what he paid during the same month a year ago. Kurt Pedersen posted a video on Facebook demanding a maximum rate of NOK 0.50 (50 øre, or around USD 0.48) per kilowatt hour, for both electricity and the extra price paid for distribution of the electricity to a certain address (called nettleie). Rates in December 2017 and January 2018 were around NOK 0.38-39 for strøm, while nettleie was already running around NOK 0.49. Electricity rates hit NOK 0.65 in December 2018 and now most Norwegians dread opening their monthly bills for January. Electricity used to be one of the few products and services in Norway that was less expensive than in many other other countries, thanks to Norway’s abundant waterfalls and hydro-electric power. All that changed when the country went from regulated electricity rates to market rates in the 1990s, when power brokers also won the rights to sell Norwegian electricity abroad. Authorities and government officials claim electricity rates in Norway have remained lower than in other European countries, but those running the market now have made some mistakes. No one foresaw last year’s summer drought, when it barely rained from May until well into September. Brokers had already sold lots of Norway’s hydro-electric power overseas, expecting reservoirs to be refilled. When they weren’t, rates jumped. Pedersen sneered at a government response that involves reducing the taxes on electricity by one øre (NOK 0.01) per kilowatt hour, claiming that amounts to very little if any relief. Oil Minister Freiberg of the Progress Party that prides itself on cutting taxes and fees admits that the reduction can seem like very little. “With the kinds of bills folks are getting now, I can understand that,” Freiberg told NTB. He noted that the current conservative government coalition has doled out around 600 new licenses for generating more water- and wind-based power since it first took power itself in 2013. He believes the additional power that will be generated by the new license will help lower rates, even though many of the windmill parks are meeting strong opposition from local residents and environmental groups because of how they’re changing scenic landscapes. Others also note that last year’s drought may not be so “extreme” after all, as climate change continues to become more and more visibile in Norway. Opposition parties in Parliament, meanwhile, are calling for more direct support for low-income households hit the hardest by much higher electricity bills. 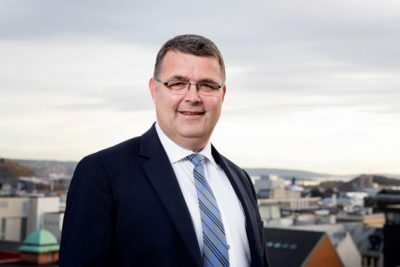 Johan Gahr Støre of the Labour Party was lukewarm at best to the call for capping rates, telling newspaper Aftenposten over the weekend that it could be difficult to put into practice. “We have more faith in boosting (financial) support for those who are struggling,” Støre said. Trygve Slagsvold Vedum of the Center Party has criticized how Norway’s electricity is sold abroad when it’s needed at home to keep rates lower. Both he and Støre are raising objections to construction of a new cable, called NorthConnect, that can send more electricity from Norway to the UK. Støre conceded that Norway has been well-served by cables that allow export electricity “when we have a lot” and also can import electricity in times of shortages, “but there should be a limit on it.” He stressed that Norwegians will continue to experience periods with high electricity rates after dry years and lower prices when there’s been a lot of rain and snow.